2012 has been a remarkable year for the Hard of Hearing Young People Foundation. We have made great strides in our efforts of providing assistance and support in the lives of young people in the hard of hearing community. We’re still in our infancy, but we know good things await us as we move forward into the new year with a focus on those who don’t have access to the resources that can change their lives. Our mission is as clear as it was on day one. We have seen the difference our efforts have made. But we know there remains much more to be done. This is where you can help us as we continue to help those with few resources. 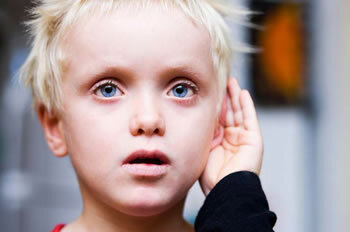 In the U.S., 3 out of every 1,000 babies are born every year who are deaf or with hearing disabilities. That’s a startling statistic that not many are aware of. These children grow up and struggle with language skills and too many times, it sets them apart from their classmates. With so many advances in our modern society, it simply does not have to be that way. Did you know that only 20% of the hard of hearing population who could benefit from a hearing aid actually own one? Our goal is the same as it was day one: to bring awareness and education to the public while also securing the much-needed resources for today’s youth in the hard of hearing community. Thanks to the support from you, we have seen our first year serve as a solid foundation that will ensure our mission continues in the coming years. There is so much to be done still and we are now again asking for your support for HOHYPF. There are many ways you can make a difference. Monetary donations allow us to provide hearing aids, educational opportunities and much needed medical attention to those with hearing problems. We also accept hearing aids that you no longer use. One of our partners will refurbish them so that they can help young people who are struggling to hear the world going on around them. Often, these hearing aids are the first time they have been able to improve their hearing – and as a result, improve their lives. We are a 501c3 not for profit organization and any charitable contributions are tax deductible to the extent allowed by law. Please visit our Who Are We page for more information on the legalities associated with charitable contributions. Please consider making a gift to the Hard of Hearing Young People Foundation so that we can continue our mission. You can donate using PayPal, Visa, MasterCard, Discover or American Express. Also, please visit our Facebook and Twitter pages. This is another way you can support us. It’s about getting involved and never underestimating the little things. It’s a cornerstone of the HOHYPF mission. We look forward to continuing our efforts into 2013 and many years after that. We hope you’ll join us as we work to help young people hear the beauty around them.